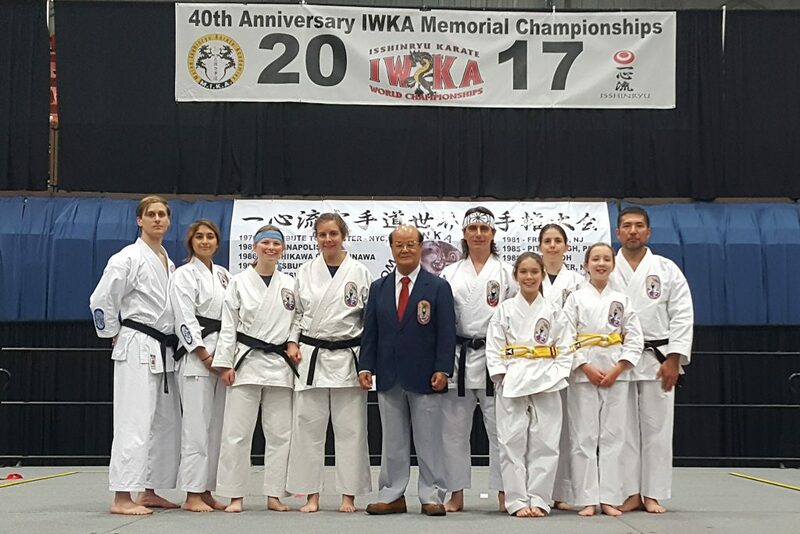 PSKC instructors traveled to Augusta, Maine to attend seminars with Grand Master Kichiro Shimabuku and compete in the IWKA 2017 World Championship Tournament. The event this year was hosted by Senseis Rob & Rebecca Pushard of Maine Isshinryu Karate Academies. PSKC finished with five 1st places, four 2nd places, and seven 3rd places. Competition included empty hand forms, weapons, and sparring. The IWKA 2019 World Championship will be hosted by Goshin Isshinryu Karate in London, England on July 27 & 28th. This entry was posted in Announcements on June 29, 2017 by Sensei Koszarsky.